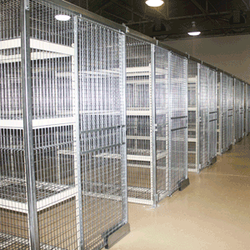 Many of our material handling and storage products require project planning and installation services. The installation process for some of our larger projects can seem complex at first glance. However, our team has extensive experience leading installation projects for every category of product we offer. Our goal is to make the process as easy as possible for our customer. From the early planning stages, we work very closely with the client to ensure all contingencies are monitored and tracked in order to minimize surprises. At the end of the project, we are never satisfied until our customer is entirely pleased with the results. Please click on the title or picture of any category below to review some of the projects we have completed recently.